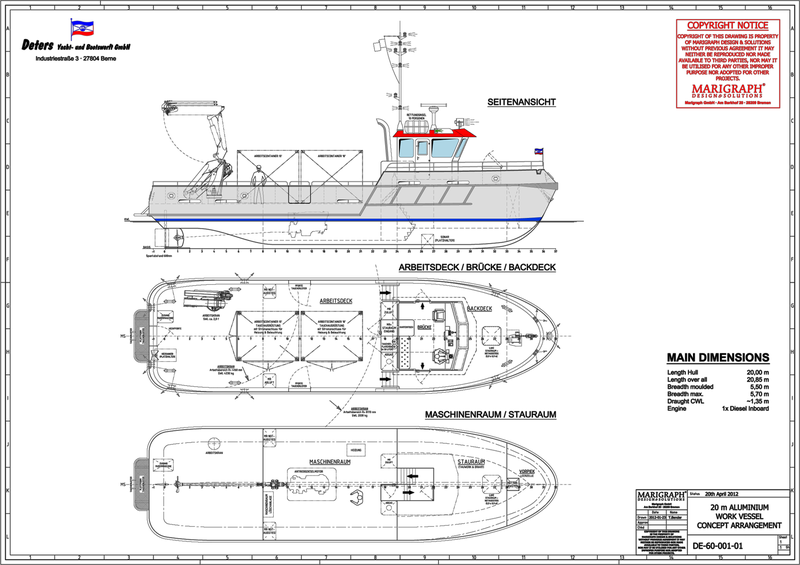 Concept Design of a multipurpose aluminium work vessel for Deters Yacht- und Bootswerft. 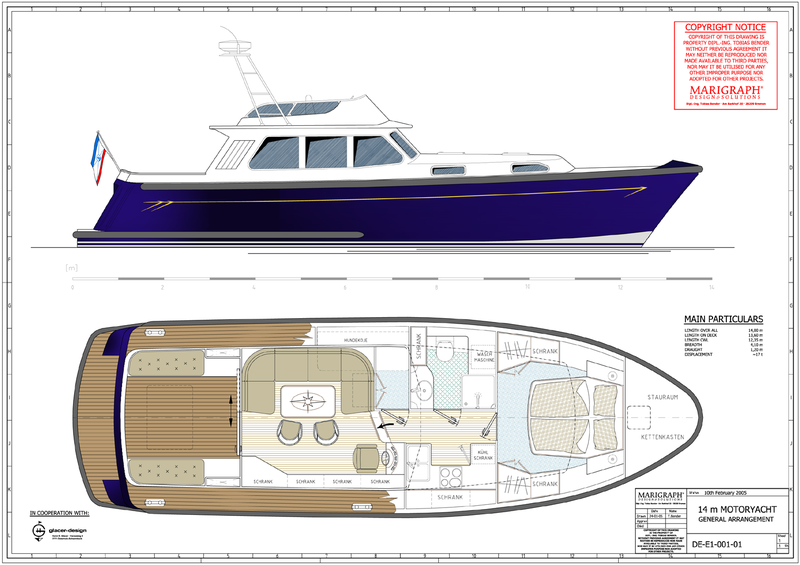 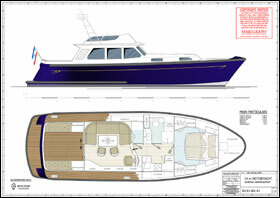 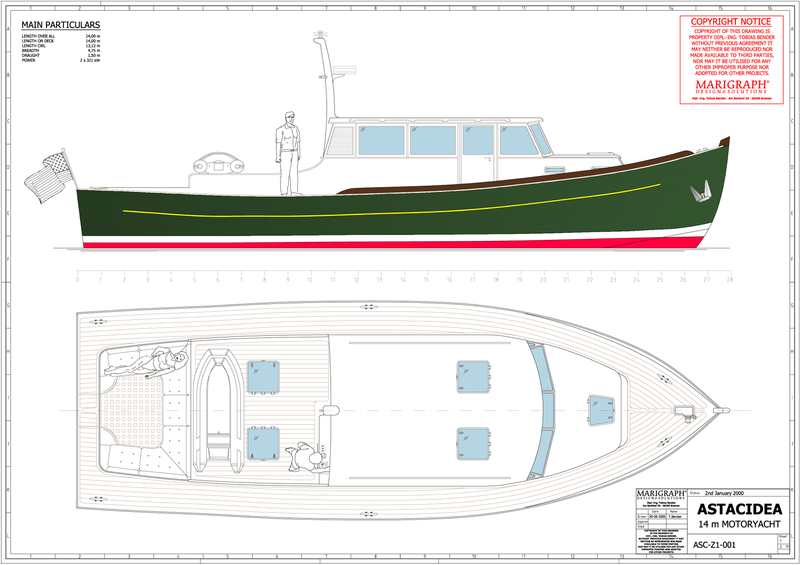 Concept Design of an aluminium MCS boat for Deters Yacht- und Bootswerft. 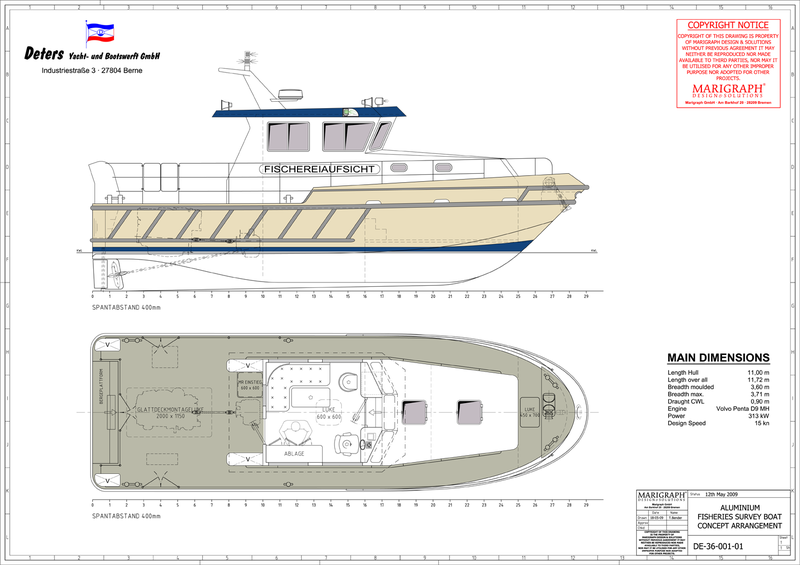 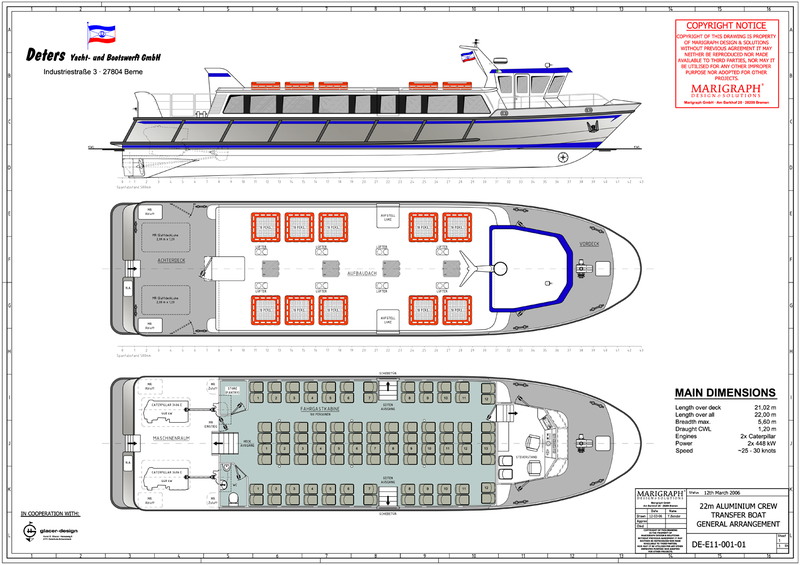 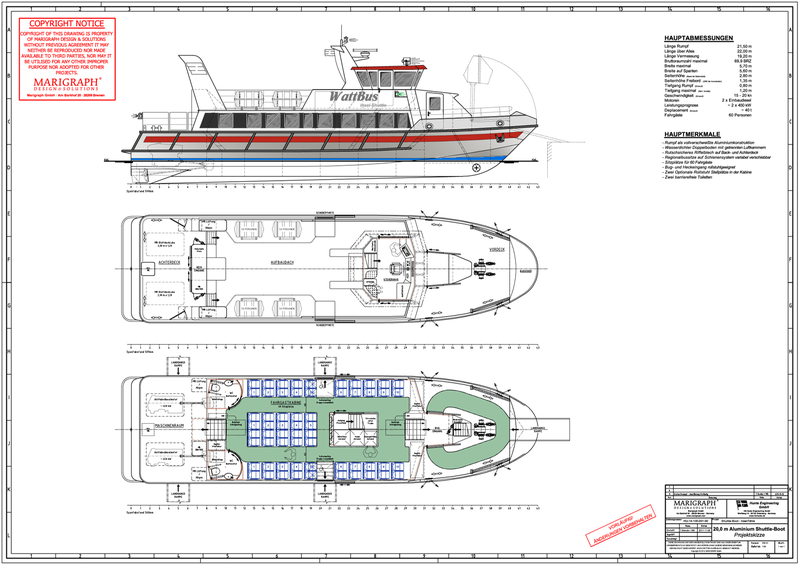 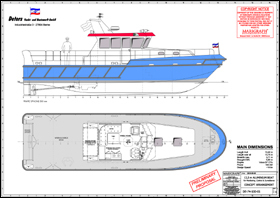 Concept Design of an aluminium shuttle boat for use as island ferry. 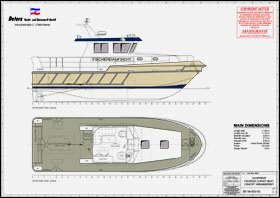 Universal patrol boat with waterjet propulsion. 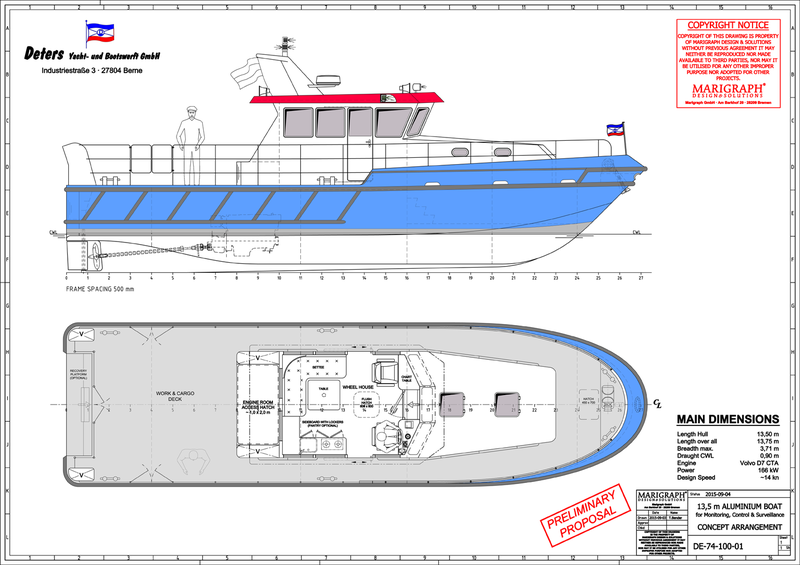 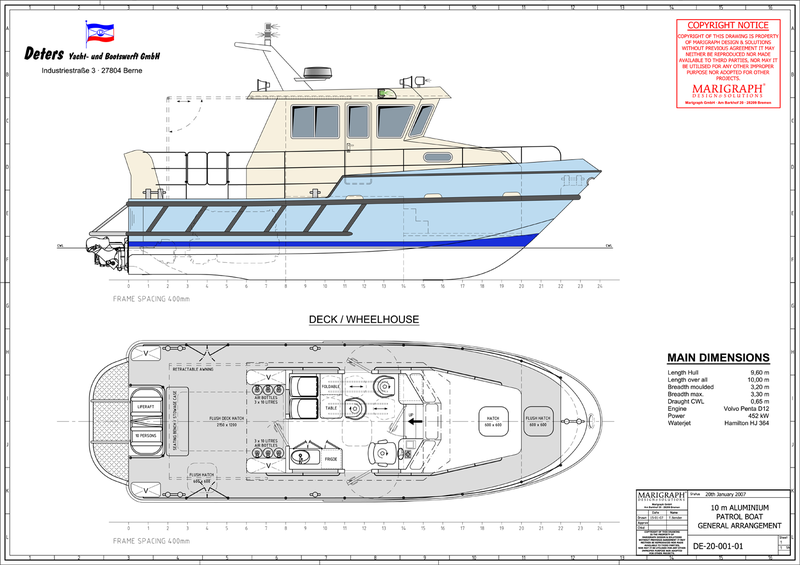 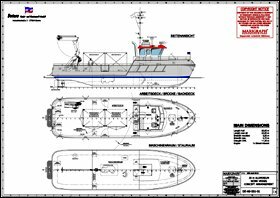 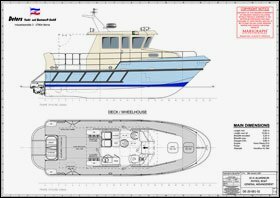 Concept Design of an aluminium fisheries survey boat for Deters Yacht- und Bootswerft. 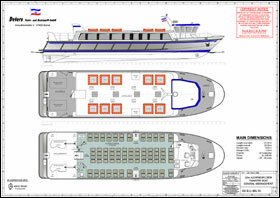 High speed vessel for rapid crew transfer up to 100 persons. 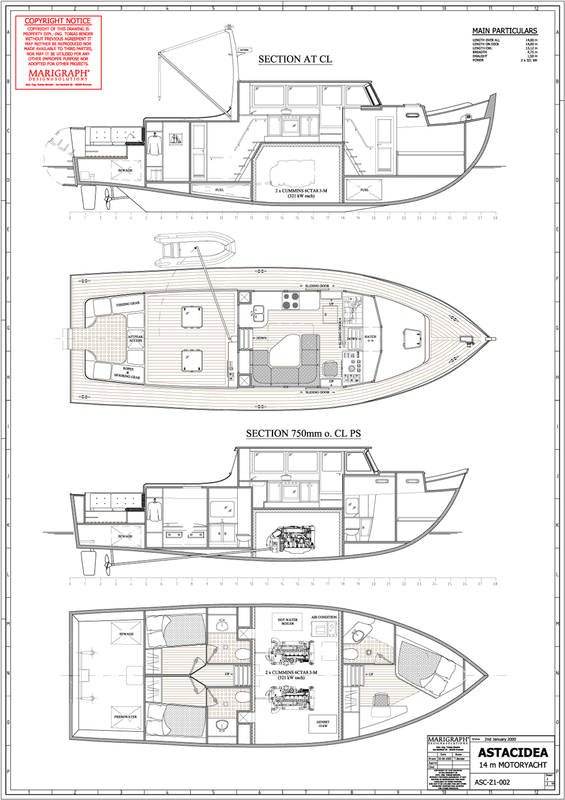 Mobile yacht with classic lines, huge owners cabin, exact specification and equipment can be adjusted according to respective customers preferences. 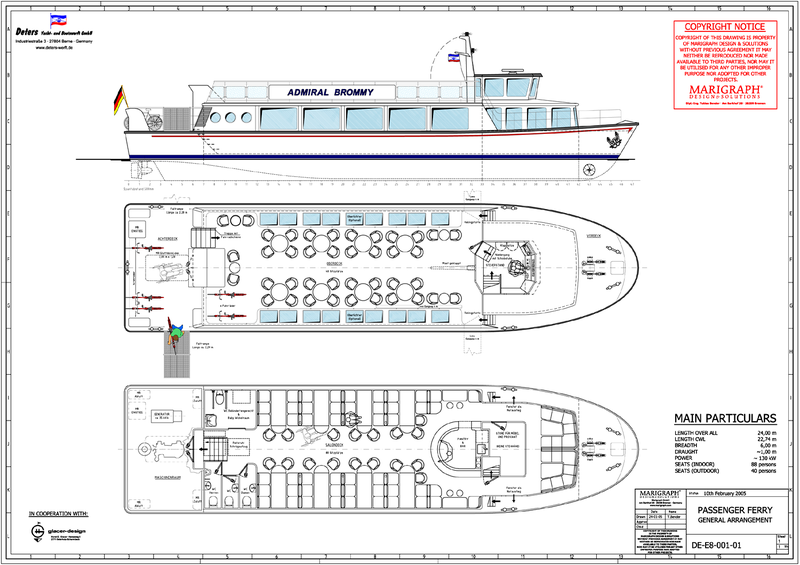 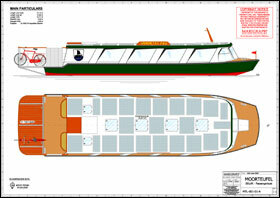 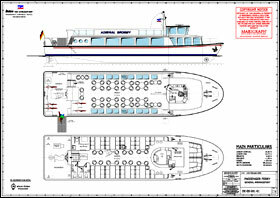 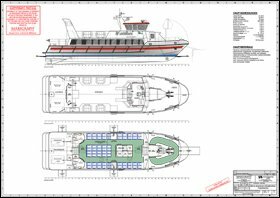 Passenger vessel for combined ferry and cruise service on rivers and coastal waters. 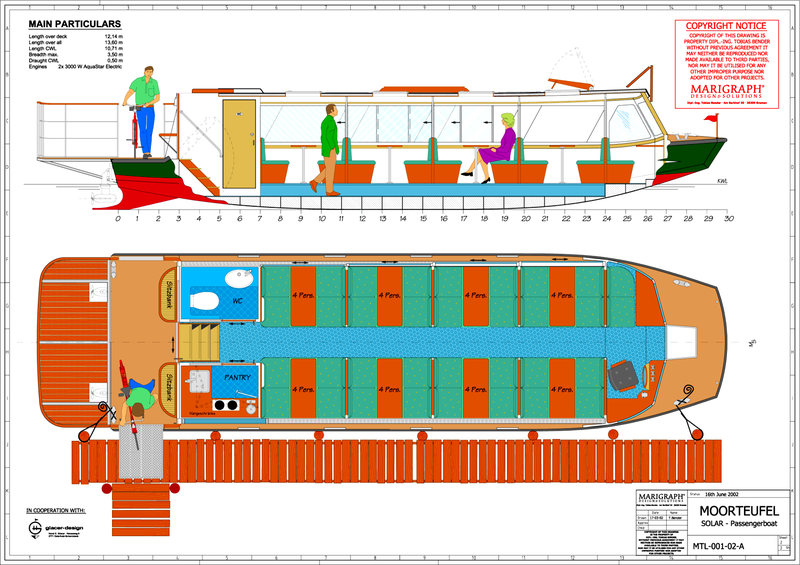 Concept of an excursion and passenger ship with electric drive and solar cells. 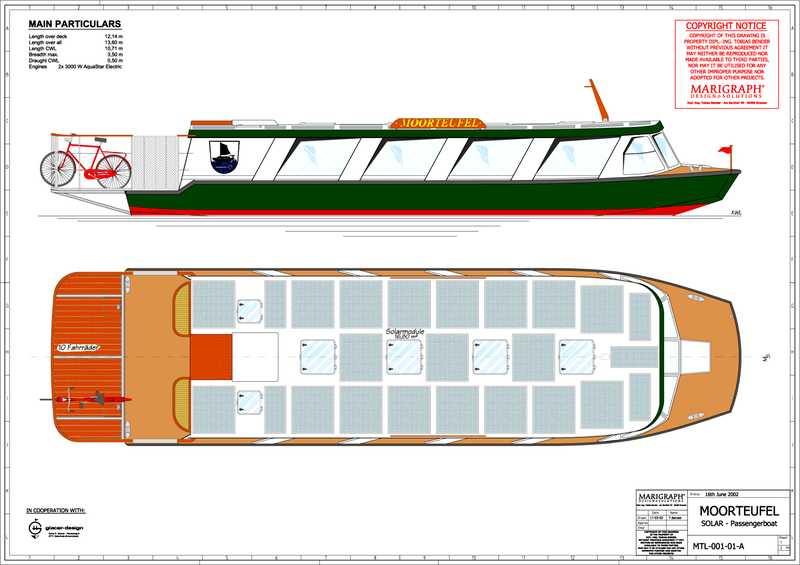 Dimensions tailored for use on inland waterways on lakes, rivers and canals. 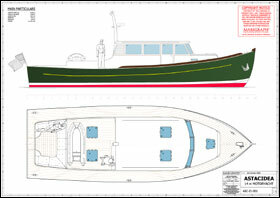 Rustic motor yacht in dependence on the US East coast lobster boats.